Are you considering TPO roofing? TPO Roofing is composed of a single-ply roofing membrane known by Thermoplastic Polyolefin. This membrane is most known for its’ strength and resistance to tears, punctures, and blunt force. These membranes are also well-known for their thermal resistance. This thermal resistance has permitted home owners to eliminate some of their cooling and heating costs in some cases. They come in a variety of colors and widths. TPO systems differ from EPDM solutions that utilize splice tape to secure the seams. These systems incorporate hot-air weld able seams, which a welds the material together to form a firm massive field sheet. Therefore, hiring expert roof repair Houston contractors is the best when it comes to installing your roofs. 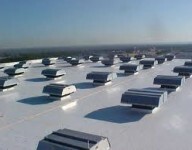 How are TPO roofing systems applied? Unique bonding agents are utilized to fix the membrane to the insulation and decking in the Fully Adhered method. Custom designed plates and fasteners are used to mechanically attach the membrane to the insulation and decking with mechanically fixed TPO systems. These plates, fasteners and other equipment is usually company approved. Ballasted TPO systems are applied loosely and are secured solely along the roof’s outer limits and gaps. The next step is to weigh the roof down with large boulders to keep the membrane in position. Is there upkeep involved with TPO roofing? A suitably applied TPO roofing system generally needs little to no maintenance for as long as you have it. There are several factors that will play crucial roles in how or if any upkeep is required. Some issues to reflect on are, climate of region, how much walking will be done on the roof, how swiftly the roof eliminates and disperses excess water, and rubbish the roof may accumulate. All repairs to your TPO roofing should be done by a licensed and trained professional. The most maintenance you should encounter is the occasional cleaning of rubbish and keeping your draining system clear. 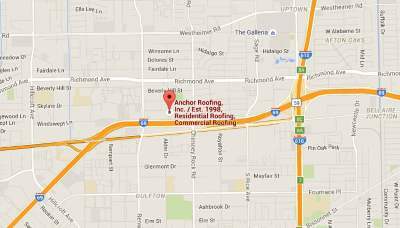 Most roofing companies Houston Texas experts advise flat roof owners to have roof inspected one time every year. They are more manageable than traditional sloped roofs, which makes them easier to cleanse and examine. They are composed of low cost materials. The building costs of installing TPO roofing is not nearly as much as the costs of traditional sloped roofs. It’s less expensive to add another floor on a home with a flat roof.